Um tour de Rio Mozilla Club! Mozilla Club Rio is a project that seeks to transform the Internet Cafes (LAN houses) in Rio de Janeiro- Brazil, into multidisciplinary spaces for informal learning and exchange of experiences around digital culture. The aim is to motivate participants to become content producers and not just media consumers. “We believe that digital skills are essential for participation in the 21th century and that everyone can take advantage of Internet by web content creation”.". On April 3 – 4 2014, in Rio de Janeiro – Brazil, the Ford Foundation and Mozilla convened a meeting of LAN house operators, digital inclusion advocates, and members of the Mozilla community to explore methodologies for growing a Brazilian web maker movement, centered in informal spaces like LAN houses. Form a network of actors committed to increasing Brazilians opportunities to shape the web. 1) Users of LAN houses: focused in young people—especially women and people in under-represented communities— to engage them in technological development and culture. 2) Owners of LAN houses, for whom we will illuminate new business models, resources and insights. For years, LAN houses have been key drivers of digital inclusion in Brazil, especially in the parts of the country where the population has had the least access to infrastructure. LAN houses offer a range of important services for people who had no access to them until they came into existence. For the poorest in society, who lack the means to buy smartphones or data, LAN houses are the digital lifeline to government services, health information, and civic participation. “LAN houses are imbued with a potential for transformation that most other sectors of the economy have overlooked”.". Currently LAN houses are facing diverse challenges that threat their existence. Mobile technology is spreading quite quickly, bringing access to services and information. But as mobile grows, LAN houses must evolve. Fewer people require hard line connections to access essential services, which means less paying customers, which puts economic pressure on the operators. The need for LAN houses to revitalize and renew their mission is perhaps the next great opportunity. What if LAN houses could become sites of making, learning and peer production? What if the LAN houses could gradually transform into sites of civic participation, as has long been imagined— including through various public initiatives, such as the Ministry of Culture’s Pontos de Cultura Digital? The project of bringing Web Literacy to Rio de Janeiro using LAN houses came to life by connecting with the Mozilla Club's strategy. Mozilla Clubs are organized by Regions. 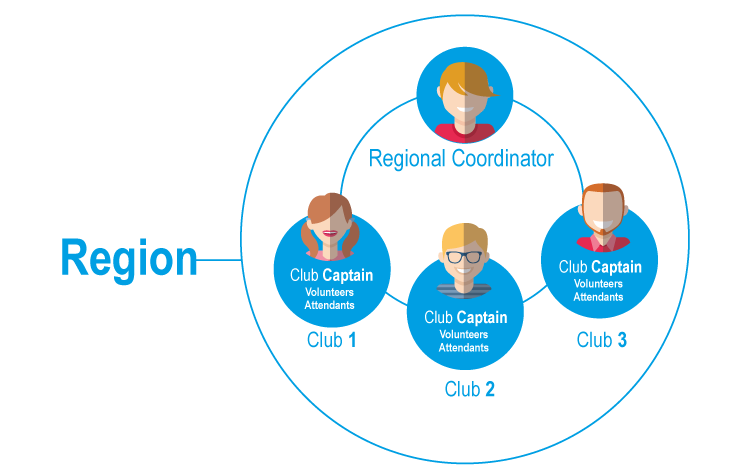 On each Region there is one Coordinator, who gives support to Club Captains. The Captains are responsible for leading their own Clubs, inviting participants to join, preparing activities, sending communications, motivating... and other different tasks to keep clubs running. Currently there are 3 ongoing clubs in Rio de Janeiro, with around 50 active members. The structure that actually work in this region is supported by one Regional Coordinator and some volunteers that help as facilitators during the sessions. "We learned that club members prefer when people from outside their local community lead the session. 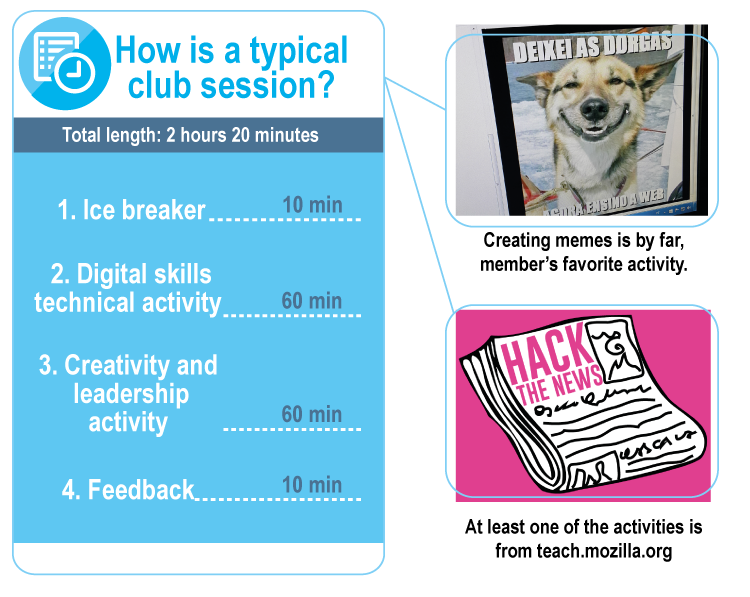 So in Rio Mozilla Clubs we work together with volunteers from the Mozilla Community to help with facilitation". Volunteers don’t go to all meetings but usually there is at least one volunteer on each session. We are now organizing ourselves to have two teams so that we can be in more than one LAN House at the same time. HOW DO THEY TEACH THE WEB? 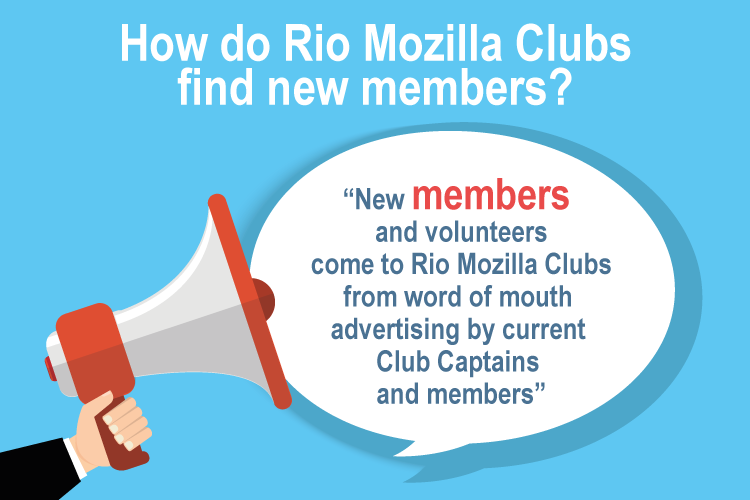 Sharing with the community is very important for Rio Mozilla Clubs. That’s why they use different kind of media to share updates, invite to events, publish pictures, makes and wins! 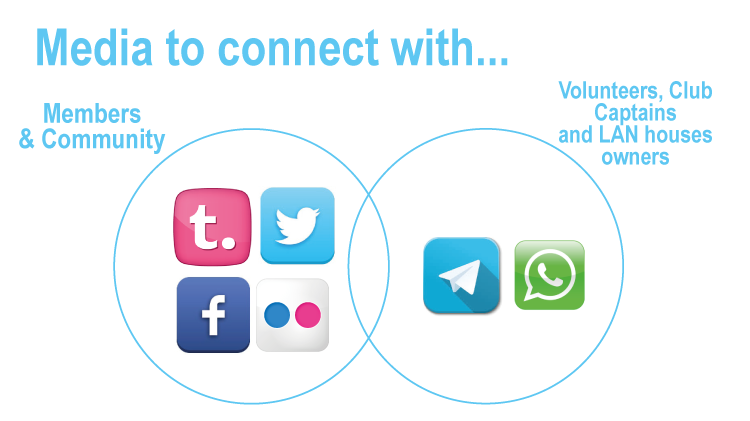 Members also are encourage to share makes and news trough their personal media accounts. -Take our learning and launch new Mozilla Clubs in Rio in other LAN houses and potential spaces. -Create more diverse and open spaces for people to learn. Include a plan for how to integrate equal ages, gender, and backgrounds into. -Open up sessions to be during the week days.